So, if your wife engages you in conversations that challenge your thinking, if she encourages adventures that present new opportunities for learning, or if she accompanies you on stimulating activities, take a moment to reflect on the precious gift you have been given. She is a gift that contributes to your long and happy life. She is a gift helping you remain mentally healthy. Why not do something today to show her how much you appreciate her presence in your life? PS—I told my wife about this research. 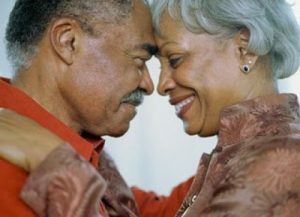 She just smiled and said, “No surprise there.” I have to say, if marrying an intelligent woman helps a man live long, healthy, and wise…I have a lot of years left! I am truly blessed. How about you? If you have an infant in the house and want them to develop strong language skills with a larger vocabulary, then you want to learn a new language. I don’t mean French or Spanish, Chinese or Japanese, or even Swahili. I mean you need to learn “parentese.” That’s not “baby talk.” I’m talking about “parentese,” the language in which a parent talks slowly and clearly with exaggerated vowels and inflections. Parentese still uses real words as opposed to the nonsense syllables of “baby talk.” Parentese involves fully grammatical sentences spoken with an exaggerated tone of voice that sounds happy. Ironically, in this world of division, parentese crosses all boundaries. It is used in all languages and benefits children from all cultures and socioeconomic backgrounds. All children who are spoken to in this language are engaged by it. They listen more intently. They even respond more often. At least that’s what researchers at the University of Washington discovered. Specifically, they found that infants of parents coached in parentese when their children were six- and ten-months-old babbled 43% over two days, whereas infants of parents not coached in parentese babbled only 30%. In other words, those who used parentese got more engagement with and responses from their infants. And, at 14-months-old, the children of parents who used parentese produced significantly more words than children of parents who did not use parentese. That’s the result at 14-months. The impact of learning “parentese” continues even into elementary school and beyond. Other studies have shown early language skills predict a child’s learning to read and success in school. So, if you have an infant at home…or if you have a family friend who has an infant, why not learn the language of infants, parentese? (If you need a little tutoring lesson on parentese, check out this short video.) When you do, you will help them learn the flow of conversation and the art of engagement. You enhance their production of speech. You contribute to their future reading and success in school. Who knows, learning and practicing parentese might just start a whole learning revolution. I remember the advice given to me as my children approached their teen years. “Whatever you do, maintain open communications with your teen.” Sure, I thought. Great idea. But, how do you do that? After some research and trial by fire (both my “children” are now in their early twenties) I have a few suggestions, ideas that can help keep those lines of communication open with your teen. I must admit, these ideas were often in opposition to my first impulse, but, when I was able to implement them, they really helped keep those lines of communication open. When your children or teens come to you with a desire to talk about something, give them your full attention. Put down the paper. Turn off the TV. Don’t check your messages or respond to a text. Don’t google. Just give your them your attention. Look at them and listen. Watch their expressions. Listen to the tone of the voice. Hear what they are saying and understand the emotions behind the words. Stay calm. They will say things that make you want to jump out of your skin. Don’t do it. At some point they will say something that triggers your core fears. They may even say things that hurt, feel like an attack, or arouse your anger. But, if you want them to continue talking about it and then listen to your response, stay calm. Remember, sometimes our teens just need to think out loud. Let them do it in your earshot. When you overreact, they will shut down. If you stay calm, they are more likely to continue talking, thinking, processing, and even listening. Listen. When you want to give a suggestion, listen instead. When you want to criticize, listen a little more. When you think you understand, listen to make sure you really do. Don’t “spray” them with questions. Instead, use your questions wisely and sparingly to gain a greater understanding of what they are saying, what it means to them, and how they think about it. Listen and repeat back to them what you think they are saying until they know you understand. Then you can offer advice. But, even in offering advice, keep your words to a minimum and then…listen. Show grace. Grace is the willingness to put aside our own agenda to become a present witness to the agenda of our children and teens. Put aside your own fears in order to create a safe haven in which your teen can express themselves without judgment. Put aside your own ego and create a secure sanctuary where your teens can voice their fears and anxieties to someone they know will strive to understand them. Doing so will build a home environment in which they feel comfortable talking to us…and they will talk with us in that environment. To summarize these 4 tips, I want to share a quote from Kenneth Ginsburg, co-founder of the Center for Parent and Teen Communication at the Children’s Hospital of Philadelphia, “The parents who know the most and who have the most influence over their child’s academics and behaviors aren’t the ones who ask lots of questions. They are often the ones who are the least reactive and who express warm, unconditional love and support.” Put these tips into action today. They are not easy, but you’ll be glad you did. If you want your family to experience more happiness, exhibit more empathy, and have lower levels of anxiety, I have found a great idea. Well, I didn’t actually come up with the idea on my own. Researchers Douglas A. Gentile, Dawn M. Sweet, and Lanmiao He did…and I’m glad they did. They recruited college students for a simple 12-minute experiment. Each of the participants took surveys measuring anxiety, stress, empathy, and happiness levels. Then they were divided into four groups and each group was given an assignment to complete while walking around for 12 minutes. One group was to walk around and focus on the appearance of the people they saw. A second group thought about ways in which they might have a better life than the other people they saw. The third group looked at the people they encountered and wondered about any hopes, aspirations, or feelings they might have in common with them. Afterward, they all completed surveys measuring anxiety, stress, empathy and happiness levels again. Comparing the before and after surveys revealed some interesting results. First, looking at people and thinking about how my life is better than their life simply made people less empathetic and caring. However, thinking “I wish for this person to be happy” led to higher levels of empathy and happiness as well as lower levels of anxiety! It also improved their sense of caring and connectedness. Let me repeat that because it sounds too good to be true. Simply walking around for 12 minutes and thinking “I wish for this person to be happy” when you look at someone led to increased happiness and empathy, decreased anxiety, and a greater sense of care and connectedness. Simple! Why not start doing this in your family? Make it a daily practice to think about each family member and how you “wish for them to be happy.” Expand this “well-wishing” beyond the family by making it a family project to think “I wish for this person to be happy” for each person you see while grocery shopping or taking a walk or going to soccer practice or any other family activity. Then, on the way home, talk about the experience. You might just find yourself living in a happier, more empathetic, caring, and connected family with less anxiety. By the way, “I wish for you to be happy”…so give this experiment a try. Summer is approaching and many families have started planning their summer activities. Maybe you plan on taking a summer vacation with your family this year. I hope you so. But before you plan your summer vacation, I want to tell you about a study that may change how you “do vacation” this year. This study deals with communication skills. In particular, it explored 6th graders’ ability to read nonverbal communications and emotional cues in others. The researchers divided a group of 6th graders into two groups. One group attended a 5-day, overnight nature camp with no TV, computers, or mobile phones. They had no digital screens for a full five days. Instead, they engaged in group outdoor activities (hiking, archery, learning survival skills) that promoted face-to-face interactions. The other group continued using screen time as usual. At the end of five days, the 6th graders who attended the 5-day nature camp without screens had improved their ability to understand nonverbal communications and to recognize emotions in others. The group that continued using social media stayed the same. It seems that practice leads to improvement…but so what? Who cares if our children learn to better read nonverbal communications and emotional cues in others? Because these skills translate into healthier relationships, better employment, and greater success in life…and we all want that for our children. What does this have to do with vacation? 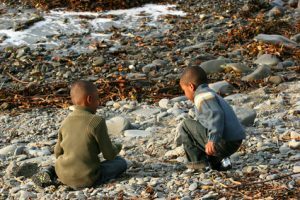 You can enhance your children’s social skills and increase their opportunities for healthier relationships, better employment, and greater life success by simply making your vacation free of TV’s, computers, and cellphones. Maybe you think it too much to eliminate them completely. Then you might consider at least cutting down screen time to a mere half-hour per day during vacation. I know it sounds crazy but contemplate the benefit of your children’s increased ability to understand nonverbal communications and emotional cues. Even more, think about the fun you’ll have interacting with one another, playing games, and sharing conversation. Imagine the things you will learn about one another, the experiences you will share, and the intimacy you will gain. It will be amazing…and the long-term benefit for your children’s communication immeasurable! Am I respectful of their emotions? Do I listen well? Do they know I strive to understand them? Do I express my love for my children explicitly? Do I provide a healthy, age appropriate structure in our home and my child’s life? Do my children know the limits and expectations? Do I allow my children to experience the limits? Do I hold my children accountable for their actions? Can I allow my children to suffer the negative consequences of their behavior? Do I say what I mean and mean what I say? Do I set a positive example for my children? Do I set a good example in self-care? Do I set a good example in accepting limits and consequences? Do I set a good example in expressing gratitude? Do I set a good example in admitting my mistakes and making amends? Do I set a good example in managing my emotions? In all these areas—relationship, structure, and example—am I consistent? I don’t know about you, but I find these questions both reassuring and convicting: reassuring because I believe I do fairly well in several areas and convicting because I fall short in some areas. I need to work at improving in the areas where I exhibit weakness…which leads me to one last question: Do you love your children? If you love your children, you will continue to grow in the areas listed above and you will remember that when you fall short “Love covers a multitude of sins” (Peter in 1 Peter 4:8). Children born to mothers who drank excessively during pregnancy may suffer from Fetal Alcohol Syndrome. In Germany, where this study was conducted, 41 children of every 10,000 births have Fetal Alcohol Syndrome and another 177 fell on the spectrum for fetal alcohol syndrome without meeting full criteria. Data from the CDC suggests that the statistic in the U.S. appear lower, ranging from 2-15 children of every 10,000 births depending on the area of the United States. That is 2-15 children too many. Individuals involved in automobile accidents in which the other driver was driving under the influence of alcohol. The authors of the study noted that in Germany, alcohol contributes to 45% of traffic fatalities. In the U.S. alcohol was involved in 26.4% of fatal crashes. People who experience violence secondary to another person whose aggressive behavior was fueled by alcohol. According to an NIH Alcohol Alert 42 percent of violent crimes reported to the police involved alcohol. All in all, alcohol seems to have a huge second-hand effect. These three areas do not even include the emotional strain and physical pain experienced by children and families, the financial strain placed on families by one person’s drinking, or the amount of money lost by employers due to poor work following overdrinking. All this to say, if you find people complain about your drinking, your drinking hurts more than just you. It can result in traffic fatalities, illnesses, and aggression. Excessive drinking can harm your children and your spouse emotionally as well as physically. 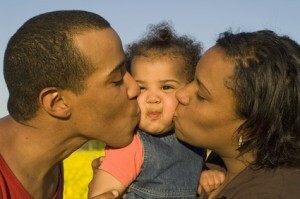 It may impact your children’s future dating life and even their marriages. It will impact the happiness of your spouse and your children. With all the damage that comes with excessive drinking, why not give it up? Why not show your family just how much you love them by giving up the drinking? It was old, no doubt. Some looked at it and saw holes and frayed sleeves, my wife included. She saw a rag, something to use while cleaning or, better yet, something to simply throw away. But I saw so much more. I saw comfort. I saw years of companionship (we’d been together since college). I saw an old friend. Yes, it was “just a shirt,” but we had been through a lot together. My wife saw an old, raggedy t-shirt that need thrown out and replaced. I saw a faithful companion to be respected and even cherished. Perhaps I saw too much (you be the judge). I don’t know. No matter. The fact remains, you’ve likely had a similar experience in your marriage—you saw one thing and your spouse saw another. Who’s right and who’s wrong? I don’t know. It’s a matter of opinion. You could get into a drag-down, all-out fight about it; but that only leads to frustration and distance in the relationship. Or, you can preserve the relationship by listening to your spouse and understanding their point of view. 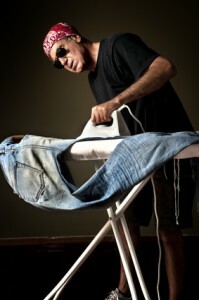 Of course, I used a somewhat silly example (although I have had to defend a shirt or two during my marriage, have you?). However, the same holds true when it comes to more significant opinions like politics or childrearing practices, the perfect place for vacation or the perfect place to live. In such cases, the stakes are much higher than the stakes inherent in a disagreement over my comfortable and faithful shirt, but the response is similar. You need to listen intently and understand deeply in order to move toward an appreciation of your spouse’s point of view. Only when you understand so well that you can repeat their rationale back to them and they reply by saying, “Yes! Now you understand!” can you begin to find a compromise, a mutual agreement in which both spouses can find satisfaction. By the way, I gave up my shirt…over time. My wife allowed me a “grieving period” and bought me a new shirt very similar to the old one. I could wear both, one around the house and the other in public until I was ready to let go of my “faithful friend…oh, the sorrow.” But she listened. She understood. I listened. I understood. We grew together…and I got a new shirt out of the deal!